Technically defined as a plant that bears seed pods that split along two opposite sides when ripe, legumes is a term used in the culinary world to refer to the seeds of the pods -beans, peas, lentils, chickpeas, soybeans and lots of other protein-rich options. Super easy to prepare, they make a delicious, inexpensive and highly satisfying meal. As many legumes require pre-soaking, it’s worthwhile to become familiar with the different varieties detailed below. However, you can use the same basic procedure for preparing all dried legumes. By adding vegetables, spices and even meats, you can turn these simple legumes into an endless number of dishes. 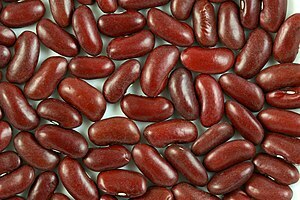 All kidney beans originate from the same plant that produces fresh green beans. These green beans are allowed to ripen until the seeds are mature and dry. A sub-group of Kidney beans, Haricot beans refer to varieties of white Kidney beans. Made from fresh peas that have been dried, these are quick-cooking and don’t require pre-soaking. Small and lens-shaped, lentils are also quick-cooking and do not require pre-soaking. Flat, broad beans which come in multiple sizes, are creamy white or pale green color and have a very starchy texture. Famous for being the main ingredient in hummus,. these round and beige beans stay firm and whole when cooked. They have tough skin and a creamy brown color with a starchy interior. Require a very long cooking time. Most often used to make soy products such as miso. Popular in China, these small and round beans with a green exterior and white interior, are often split. Primarily used in Asia, these small, oval and red beans can also be used in sweet dishes.